Most people appreciate flexibility and convenience when it comes to managing their own affairs, whether that means using a smart phone or ATM for banking, researching new cars online, or bagging their own groceries. We are a nation of “do-it-yourselfers” and we like options. But that DIY mindset isn’t always beneficial when it comes to the daunting task of relocating. 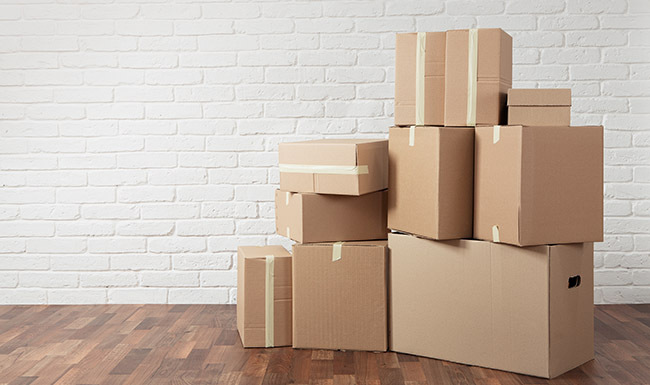 While there are many options when it comes to moving and relocation, a common trend for universities is to cut a check (lump sum) for a relocating faculty or staff member and let the employee figure it out on their own. This seems like an easy and flexible way to manage a relocation program, but it is more complicated than that. Relocating is stressful as it is, and without an experienced supplier at your side, it can be a truly harrowing experience. For employees with large moves, the DIY route (i.e. a rental truck) is not a practical option. When a full-service moving company is needed for employees going it alone, it can be extremely expensive, and during the peak summer months there is often limited or no service available at all. If you require the employee to pay for the move up front and get reimbursed later, that creates more administrative work for you and financial strain and stress for the employee. Employees spend hours researching options and possibly dealing with delay or claims issues with no recourse or guidance. There is risk of injury and potential liability when employees choose DIY. Moving large pieces of furniture up and down stairs is dangerous. If renting a truck, driving a large unfamiliar vehicle for hundreds of miles with the risk of breakdown, flat tire, and accidents adds to the anxiety of moving. Internet/Rogue movers are everywhere. Falling into the trap of using an internet broker with no trucks can result in shoddy service, bait/switch scenarios, no-shows on move day, household goods held hostage, the use of labor that has not been background checked, and so on. Some employees will go with the cheapest, least reputable service provider to avoid paying out of pocket. If the lump sum is adequate, many will still take a chance and pocket the difference -not the most efficient use of relocation funds. Lump sum lends itself to a more challenging move at best. A few bad experiences can reflect poorly on your university, so help your new hires understand the pitfalls associated with not using a reputable moving company that has experience, quality service, and competitive pricing. Using proven performers that deliver a great service during a busy and stressful time helps ensure your new employees can concentrate on doing what they do best. Be sure to use contracted movers who are nationwide, can consult with your employees on ways to reduce costs to meet a budget, and have many options, such as fast and reliable programs for smaller shipments. Take advantage of partners like United and Mayflower that deliver a superior relocation experience and tremendous value for university employees every day! Tim Grimes is the Regional Sales Manager, Eastern U.S. for The UniGroup Companies, which includes United Van Lines and Mayflower. For more information about these E&I contracts, email eandicoop@unitedvanlines.com, eandicoop@mayflower.com, or contact Tim at (636) 349.7483.